My primary research interest concerns the impact of community-based primary health care programs on health improvement, especially on the health of mothers and children. I have a broad interest in primary health care and community-oriented public health, community participation, and equity and empowerment. A secondary research interest concerns health systems strengthening and strengthening basic and essential surgical services in developing countries. In coordination with colleagues, we have just published in the July 2017 issue of the Journal of Global Health a series of articles reviewing the effectiveness of community-based primary health care in improving maternal, neonatal and child. This is available at: http://www.jogh.org/current.htm (see Research Theme 5). 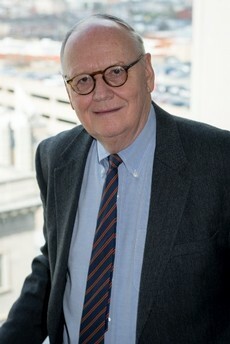 For an overview of Dr. Perry's career in global health, a video can be found at https://www.youtube.com/watch?v=GT6zHn8NrmI. The following are representative publications. Perry H, Rassekh B, Gupta S, Freeman P. A comprehensive review of the evidence regarding the effectiveness of community-based primary health care in improving maternal, neonatal and child health: 7. Programs with evidence of long-term impact on mortality in children younger than five years of age. Journal of Global Health 2017;7(1), doi: 10.7189/jogh.07.010907. Perry HB, Zulliger R, Rogers MM. Community Health Workers in Low-, Middle- and High-Income Countries: An Overview of Their History, Recent Evolution, and Current Effectiveness. 2014. Annual Review of Public Health 35:22.1-22.23. Perry H and Crigler L. (eds.). Developing and Strengthening Community Health Worker Programs at Scale: A Reference Guide and Case Studies for Program Managers and Policy Makers. 2014. Washington, DC: USAID/MCHIP (available at: http://www.mchip.net/sites/default/files/MCHIP _CHW%20Ref%20Guide.pdf). Perry H, Berggren W, Berggren G, Dowell D, Menager H, Bottex E, Dortonne JR, Philippe F, and Cayemittes M. 2007. Long-term reductions in under-five mortality in the Hôpital Albert Schweitzer service area in rural Haiti: The effects of a comprehensive health and development system in a severely impoverished setting. American Journal of Public Health 97:240-6. Perry H, Robison N, Chavez D, Taja O, Hilari C, Shanklin D, and Wyon J. 1999. Attaining Health for All through community partnerships: Principles of the census-based, impact-oriented approach developed in Bolivia, South America. Social Science and Medicine 48:1053-1067.